The More You Buy, The More You Save! 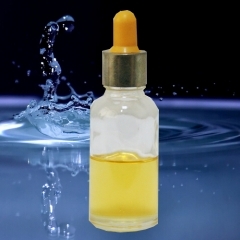 DIY Your Own Special E-Liquid with this PURE Nicotine Liquid, which is developed specially for the Electronic Cigarette products. 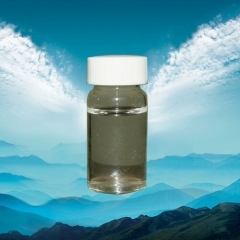 Make your own special E-Liquid with this pure nicotine according to the instruction: How to diy E-LIQUID Characteristics: Capacity: 1 KG Net Grade: pharmaceutical grade 100% Purity FDA approved Caution: These products must be blended down with a non nicotine PG or Vg product for your special needs. DO NOT REFILL DIRECTLY WITH ANY E-CIGARETTE. Please use precaution when dispensing this product. Keep in a cool & dark place. For your convenience, here we provide you the E-Liquid Calculator for you to DIY your own E-Liquid to save your money and to have your own unique flavor, according to the different flavors and flavor strangth. For the detail information on how to make your own E-Liquid with the E-Liquid Base, pleae refer to How to DIY E-Liquid. Warmly welcome to contact with us! The More You Buy, The More You Save! 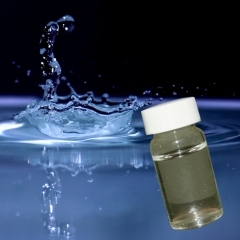 DIY Your Own Special E-Liquid with this PURE Nicotine Liquid, which is developed specially for the Electronic Cigarette products. 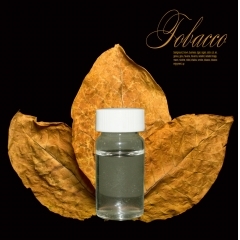 Make your own special E-Liquid with this pure nicotine according to the instruction: How to diy E-LIQUID Characteristics: Capacity: 1 KG Net Grade: pharmaceutical grade 100% Purity FDA approved PRODUCT DESCRIPTION English Name：Nicotine，L-nicotine Plants Latin name: Nicotiana tabacum L. CAS：54-11-5 International Code：61868 Analysis Method：HPLC Molecular formula:C10H14N2 Chemical Name: 1-methyl-2- (3-pyridyl) pyrrolidine Appearance: colorless and clear formula weight：162.23 Appearance：colorless oily liquid Storage: Under nitrogen, in an airtight container at 4℃ or below, protected from light. 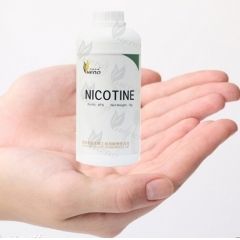 Content: 90%nicotine ,95%nicotine, 98%nicotine ,99%nicotine ,99.5%nicotine,99.9%nicotine TERMS AND CONDITIONS Payment: T/T Delivery time: Products will be sent out in 2 weekdays after we receive full payment. 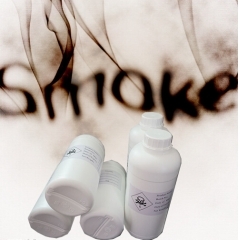 MOQ：1L Packing:Fluorinated bottle Storage : under nitrogen 4-5degree and avoide sunshine OUR SERIVICES 1:Samples :free 2:OEM :customized printing 3:documents :MSDS ,USP report ,certification for safe transport of chemical goods . Caution: These products must be blended down with a non nicotine PG or Vg product for your special needs. DO NOT REFILL DIRECTLY WITH ANY E-CIGARETTE. Please use precaution when dispensing this product. Keep in a cool & dark place. For your convenience, here we provide you the E-Liquid Calculator for you to DIY your own E-Liquid to save your money and to have your own unique flavor, according to the different flavors and flavor strangth. For the detail information on how to make your own E-Liquid with the E-Liquid Base, pleae refer to How to DIY E-Liquid. Warmly welcome to contact with us! The More You Buy, The More You Save! 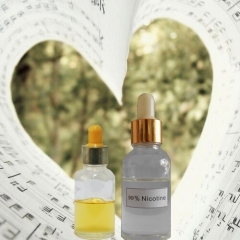 a DIY Your Own Special E-Liquid with this PURE Nicotine Liquid, which is developed specially for the Electronic Cigarette products. 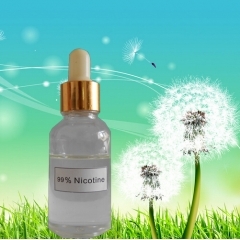 Make your own special E-Liquid with this pure nicotine according to the instruction: How to diy E-LIQUID Characteristics: Capacity: 1 KG Net Grade: pharmaceutical grade 100% Purity FDA approved PRODUCT DESCRIPTION English Name：Nicotine，L-nicotine Plants Latin name: Nicotiana tabacum L. CAS：54-11-5 International Code：61868 Analysis Method：HPLC Molecular formula:C10H14N2 Chemical Name: 1-methyl-2- (3-pyridyl) pyrrolidine Appearance: colorless and clear formula weight：162.23 Appearance：colorless oily liquid Storage: Under nitrogen, in an airtight container at 4℃ or below, protected from light. 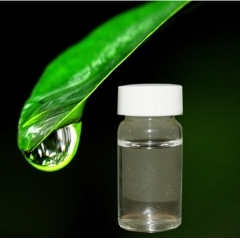 Content: 90%nicotine ,95%nicotine, 98%nicotine ,99%nicotine ,99.5%nicotine,99.9%nicotine TERMS AND CONDITIONS Payment: T/T Delivery time: Products will be sent out in 2 weekdays after we receive full payment. 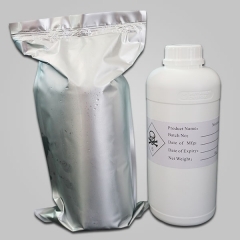 MOQ：1L Packing:Fluorinated bottle Storage : under nitrogen 4-5degree and avoide sunshine OUR SERIVICES 1:Samples :free 2:OEM :customized printing 3:documents :MSDS ,USP report ,certification for safe transport of chemical goods . Caution: These products must be blended down with a non nicotine PG or Vg product for your special needs. DO NOT REFILL DIRECTLY WITH ANY E-CIGARETTE. Please use precaution when dispensing this product. Keep in a cool & dark place. For your convenience, here we provide you the E-Liquid Calculator for you to DIY your own E-Liquid to save your money and to have your own unique flavor, according to the different flavors and flavor strangth. 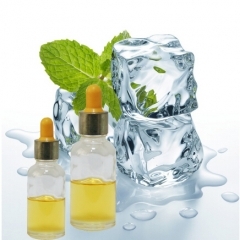 For the detail information on how to make your own E-Liquid with the E-Liquid Base, pleae refer to How to DIY E-Liquid. 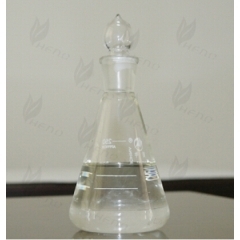 Warmly welcome to contact with us!